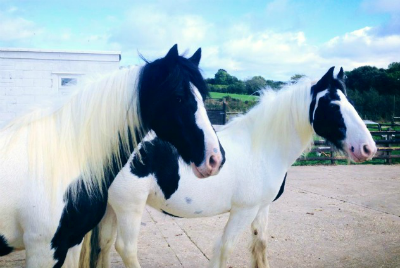 Mollie and Jimmy arrived at our sanctuary in Dorset in October last year after their owners were no longer able to care for them. Molly and Jimmy were both doing really well until February when Molly started showing signs of colic. 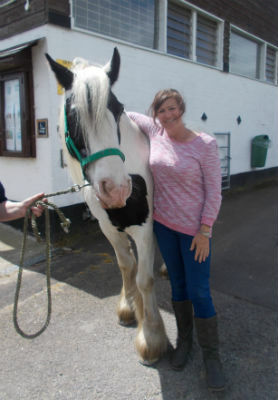 During the next few days, Molly’s condition worsened and the decision was made to take her to Endell’s Equine Hospital in Salisbury, where she was assessed and examined by vet Nigel Woodford. Molly’s condition deteriorated further the next day and she was sent for emergency surgery. The surgeons found that Molly had a blocked Cecum. Molly’s vets worked quickly to clear it and, by the end of the day, thankfully Molly was back up on her feet. Molly’s recovery will take some months but everyone at the sanctuary is just pleased to have her home where she is recovering well. The welfare of our animals comes before everything else and we are grateful to our supporters that we were able to fund Molly’s surgery. The cost of Molly’s extra veterinary care was £5000. It is not too late to donate to Molly’s appeal as we are still raising the funds to cover these extra costs. As Molly goes from strength to strength, we have some more exciting news for you all. Her friend Jimmy, who arrived with her last year, has been happily rehomed to a local family! Jimmy is a wonderful horse with a lovely temperament and we are sure he will be very happy with his new owner Chris and her family. Chris said “We are so looking forward to bringing Jimmy home. He will be a family horse and loved by us all. 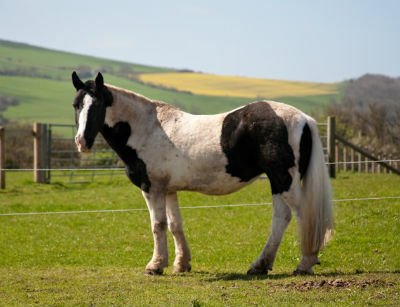 He’ll be living with our New Forest pony, Tilly”. We think Jimmy and Tilly will be the best of friends! Thank you to Chris for providing such a lovely home for this special boy.